(Bear - Canned Hunting - 01) A tame bear was shot with two arrows in a facade presented as "wild bear hunting." Cubby bled to death. 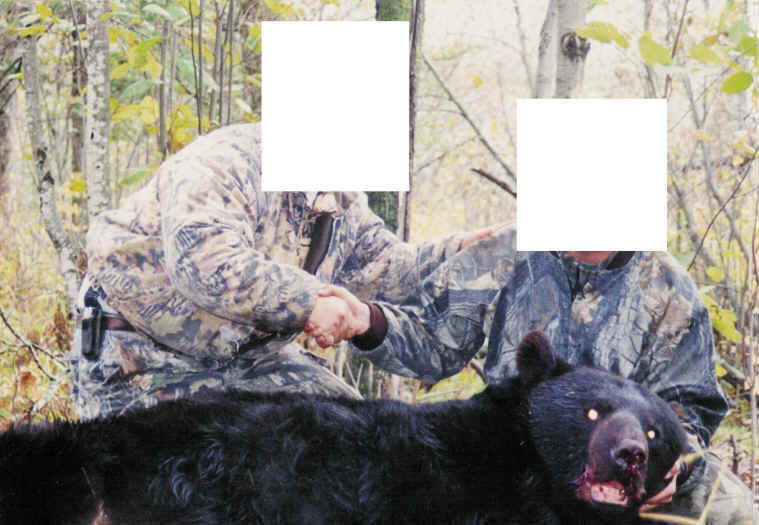 Though this has been photo "redacted," we can name the individuals because a lawsuit has been won allowing the truth to be told. 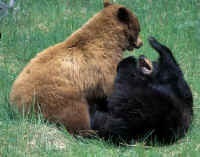 Troy Gentry, on the right, shot and killed a tame bear named Cubby "owned" by Lee Marvin Greenly, on the left. Even without seeing their faces, you can see their congratulatory handshake. Did we mention that Cubby was NOT wild?